All is not well where the bee is concerned. There has been a steady loss of bee colonies reported over the last few years. The bee-mortality rate is especially worrying in America. 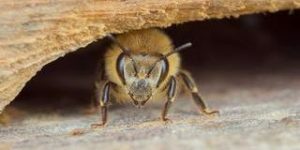 Normally during the winter, about 10% of the bee population will die, but since the harsh winter of 2006-2007 the mortality rate in the United States rose to 30 – 35%. 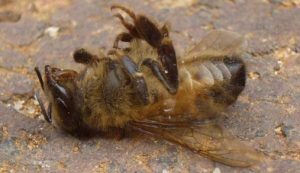 Some American beekeepers even reported a death toll of 90%! In Europe the bee mortality-rate has been above average as well, namely 20%. But also in the summer months we loose lots of colonies. Since a few years colonies perish because the foraging workerbees don’t return to their hive. This process can go very rapidly and totally surprise a beekeeper. This phenomenon is called CCD, Colony Collapse Disorder. For more information => Wikipedia page on Colony Collapse Disorder.